- MD, National Taiwan University School of Medicine, Taiwan, 1975. As a physician-scientist Dr. Hou have been conducting orthopedics-related researches for years such as osteolytic problem after joint arthroplasty, canine total hip replacement, vascularized bone graft�etc. Besides, after he got a master degree of public health from Johns Hopkins University, he engaged in policy--population related research, too. In recent years they accomplished important investigation and implementation of Patient Safety in Taiwan. Dr. Hou's interests also involves Health Technology Assessment, Evidence-based Medicine and Quality Management in healthcare. 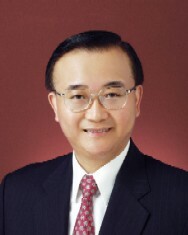 Dr. Sheng-Mou Hou is an active researcher in spite of his heavy duty as the Minister of Health in Taiwan. He has published 205 scientific papers in international journals and received many awards. Thanks to his profound knowledge and experience, he has been doing very well as the 10th Minister of Health in history of Taiwan. - Best Paper Award, International College of Surgeons R.O.C. 2007. - Best Paper Award, the 9th Congress of Society for Surgery of the Hand ROC. 2006. - Distinguished Teacher Award in National Taiwan University, 2005. - The Y. Z. Hsu Scientific Chair Professor, (Biotechnology Category), Appointed by Far Eastern Y. Z. Hsu Science and Technology Memorial Foundation, 2005. - Distinguished Commercialization of Scientific Research, 2005. - Distinguished Teacher Award in National Taiwan University,2003. - Best paper Awards, ACASA, Seoul, Korea 2002. - American Orthopedic Association, 2002. - International Guest Speaker, 2002 Australia Hand Surgery Society, Australia , 2002. - Best Paper award, 2001 Annual Orthopedic Association, 2001. - Best Teacher Award in Clinical Medical Education by National Taiwan University Medical Alumni in North America Foundation, 1999. - Distinguished Teacher Award in National Taiwan University, 1999.l	Delta Omega Honor Society Alpha Chapter in School of Hygiene and Public Health Johns Hopkins University, 1998. - Ten Distinguished Doctors Award in Taiwan, 1996. - Best Paper Award, International College of Surgeons, R.O.C., 1994. - Distinguished Graduate Award, Provincial Chia-Yi High School, 1994. - Excellent Research Award, National Science Council, R.O.C., 1994. - Best Paper Award, International College of Surgeons R.O.C. 1993. - Best Paper Award, Laser Society Republic of China, 1993. - Best Paper Award, Chinese Medical Association, 1991. - "Chin Sin Best Medical Research Award", Chin Sin Medical Foundation, School of Medicine, National Taiwan University, 1991. - Best Paper Award, Chinese Orthopedic Association 1989.l	Best Paper Award in 1987, Chinese Medical Association, 1987. - Best Paper Award, Chinese Orthopedic Association 1987. 1. Wang CT, Hou SM*. High molecular weight hyaluronic acid down-regulates the gene expression of osteoarthritis-associated cytokines and enzymes in fibroblast-like synoviocytes from patients with early osteoarthritis. Osteoarthritis and cartilage 2006;14:1237-1247. 2. Yen ZS, Lai MS, Wang CT, Chen LS, Chen SC, Chen WJ, Hou SM*, Cost effectiveness of treatment strategies for osteoarthritis of the knee. The Journal of Rheumatology 2004;31:1797-1803. 3. Hou SM, Hsu CC, Wang JL, Chao CK, Lin J. Mechanical tests and finite element models for bone holding power of tibia locking screws. Clinical Biomechanics. 2004;19:738-745. 5. Lin J, Chiang HS, Hou SM*. Open exchange locked nailing in humeral nonunion after intramedullary nailing. Clinical Orthopedics and Related Research 2003; 411:260-268. 6. Lin J, Hou SM*. Complications of locked nailing in humeral shaft fractures. Journal of Trauma 2003; 54: 943-949. 7. Lin J, Hou SM*. Locked-nail treatment of humeral surgical neck nonunions. Journal of Trauma 2003; 54: 530-535.